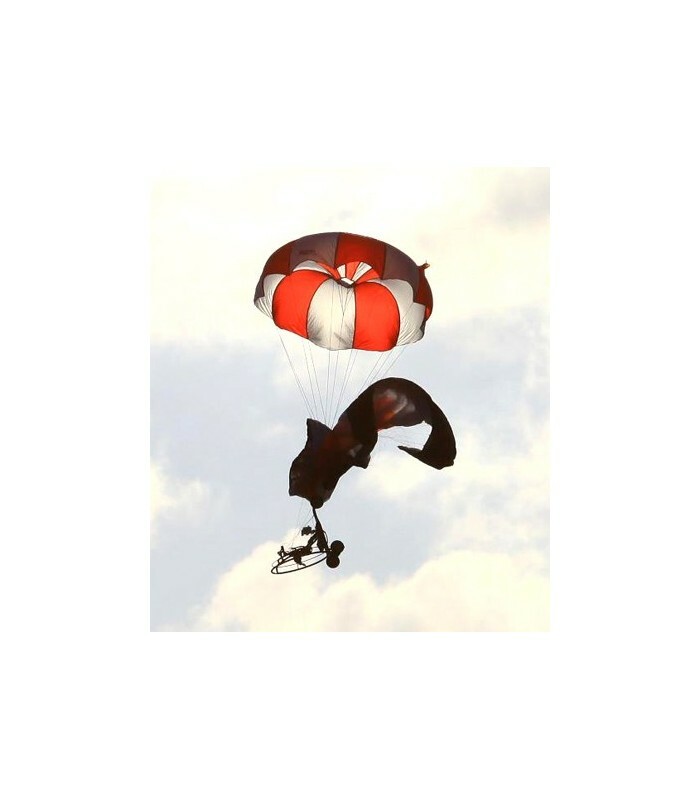 Opale Paramodels invites you to push the limits and experiment extreme flying for even more fun and excitement by offering the Rescue 12.0. 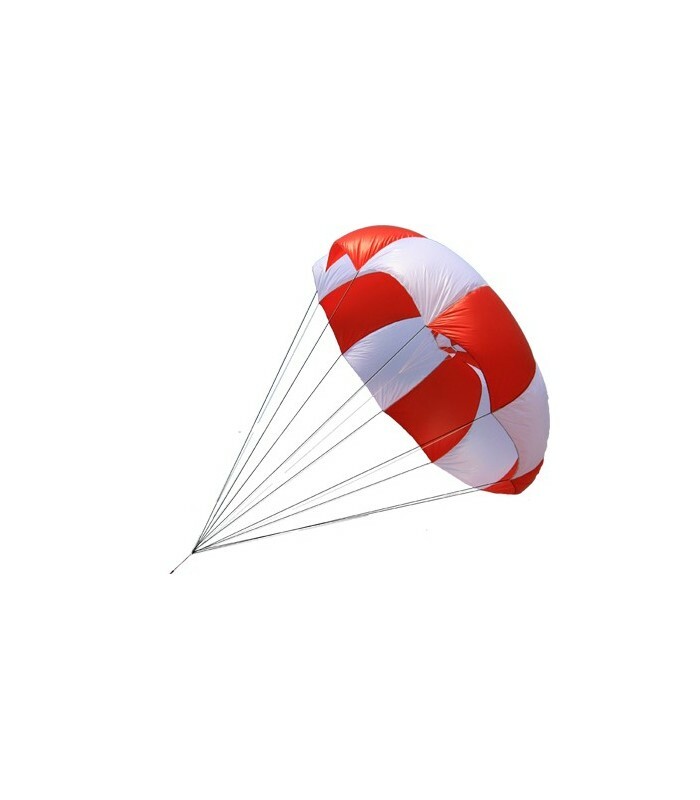 This parachute is compatible with Multirotors, it unfolds on order in a split second to ensure a smooth landing after a maneuver much less smooth! 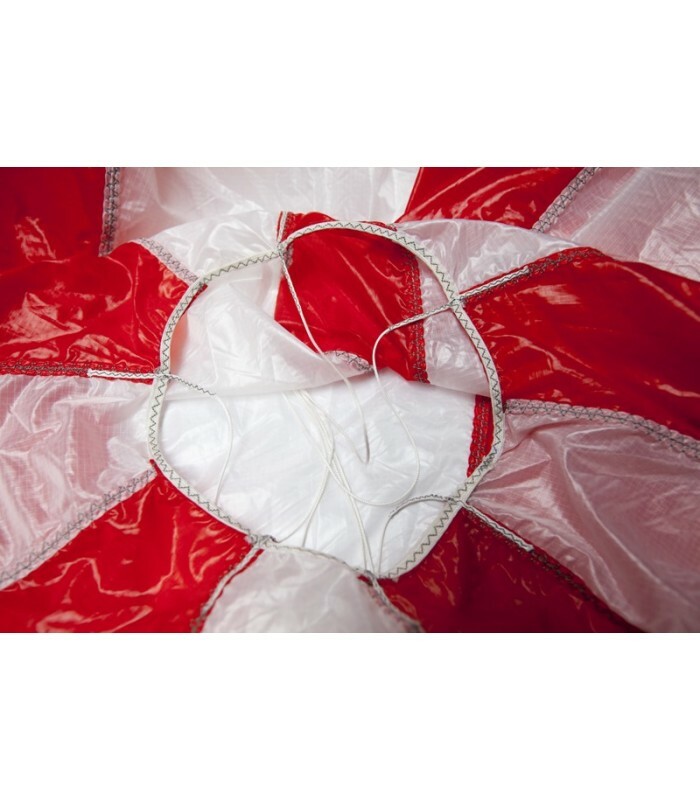 The container is attached to the parachute so that you can use it again immediately after a collapse. Really compact and light, very strong and equipped with reinforcements such as those you find on a full size parachute, no doubt this is going to be the perfect friend for your crazy trips or more wisely to efficiently protect your onboard photo / video equipment. The great thing is that you can use it either on a model in the Opale Paramodels range or on a Multirotor. So, let the fun begin! 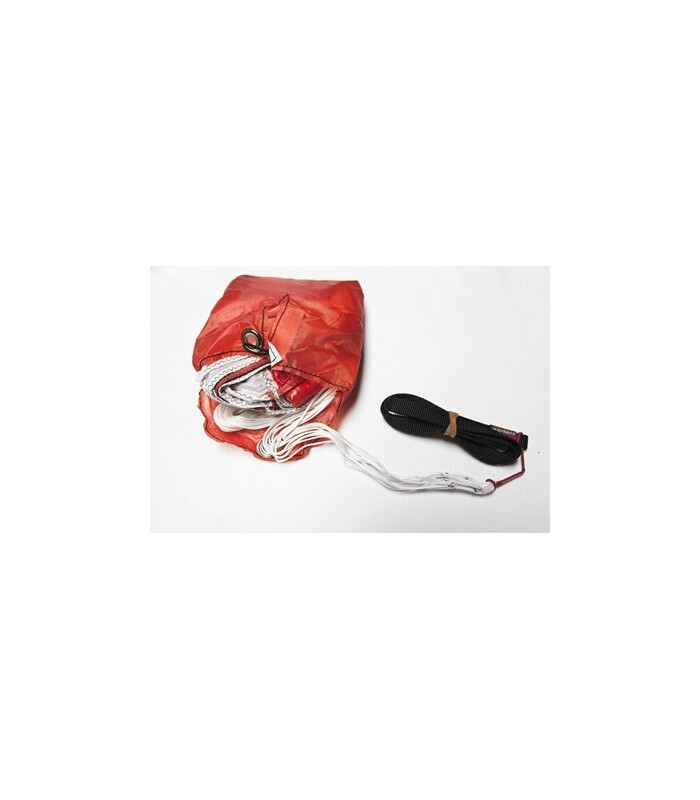 To effectively use this parachute, we recommend using a drop pod, which will keep the parachute ant the container (parachute pod) correctly positioned onboard during the flight. This drop pod has to be chosen depending on the Rescue you are using: 1.8/2.5/4.0/6.0/12/15 . Indeed, the design is not the same so that the drop pod fits exactly on the product you fly with. Mounting on Multirotor and parachute folding directions. Please read carefully this manual before using your equipment for the first time. 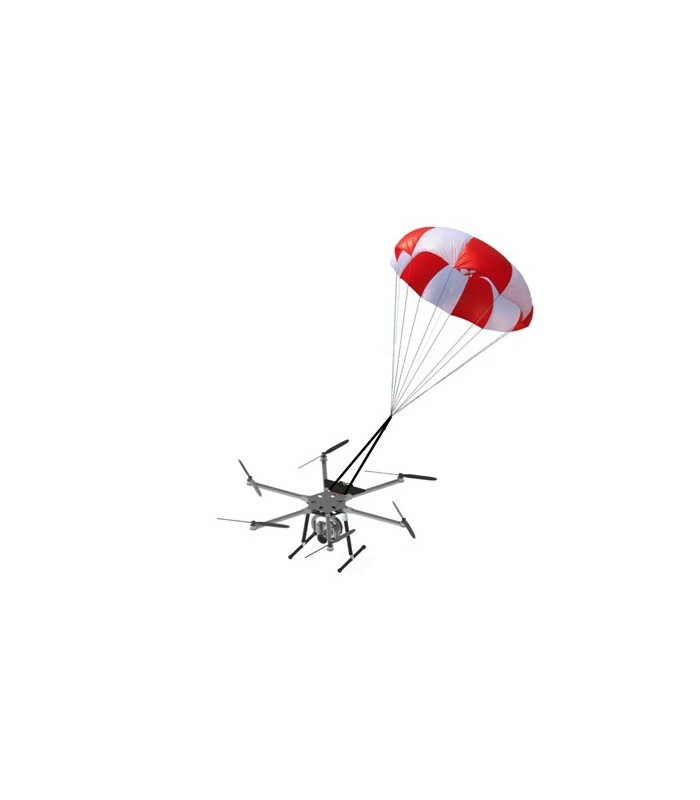 Opale parachute are compatible with Multirotor they unfolds on order in a split second to ensure a smooth landing after a maneuver much less smooth! The container is attached to the parachute so that you can use it again immediately after a collapse. Really compact and light, very strong and equipped with reinforcements such as those you find on a full size parachute, no doubt this is going to be the perfect friend for your crazy trips or more wisely to efficiently protect your onboard photo / video equipment. The great thing is that you can use it either on a model in the Opale Paramodels range or on a Multirotor.